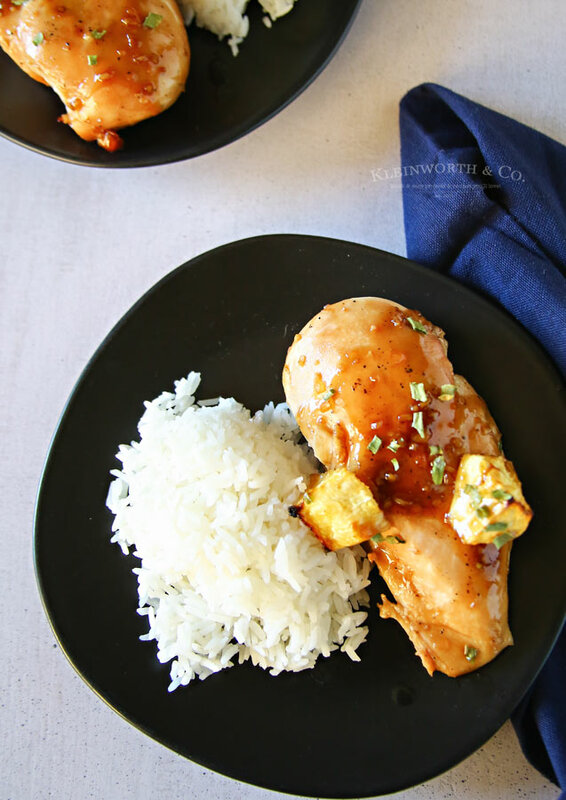 Teriyaki Chicken Bake – It’s as easy as dump, bake & enjoy! Hi everyone! If you are anything like me, dinner time is always hectic. Seems everything hits all at once & on top of that you have to find something nourishing & filling for the family to eat. You are tired & hungry & you just don’t want to make anything that takes too much time. I have just the answer for you. 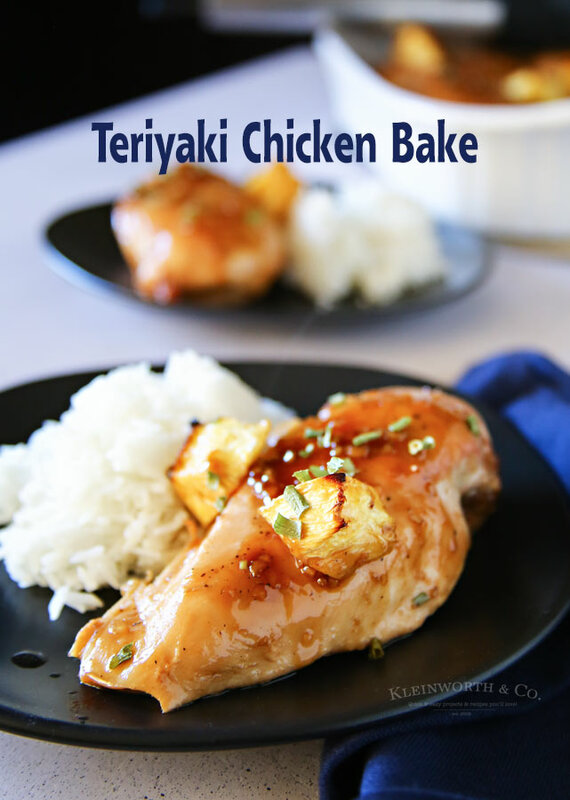 This Teriyaki Chicken Bake is so simple to make. Just toss all the ingredients in the pan & bake. 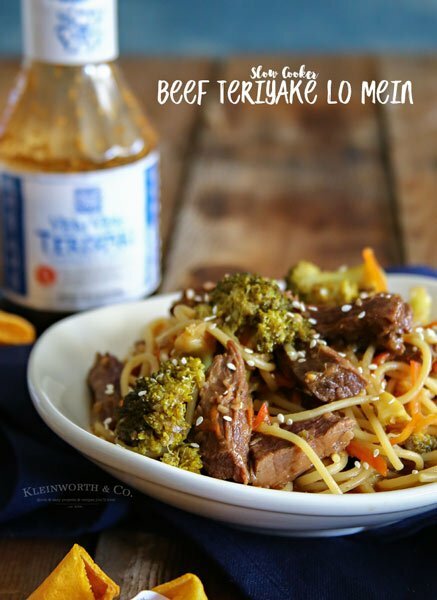 Before you know it dinner is done & the whole family is raving about how good it is. You are the hero & everyone is begging for you to make it again. Sounds good, right? Check it out! We have 3 teens, so this recipe is meant to feed all of them. Let me tell you, they are hungry! 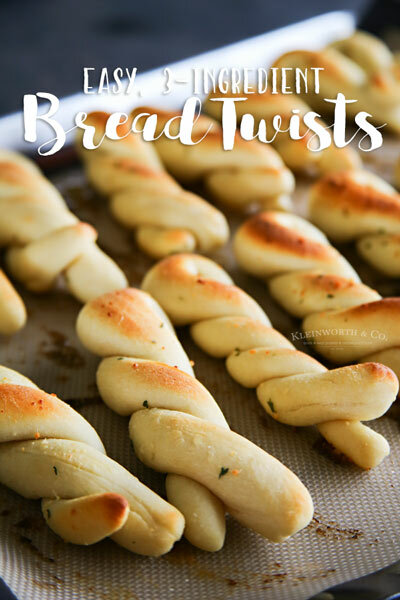 Most recipes I find these days are usually for fewer servings or to feed a family with small kids. My kids eat like adults & my hubs is a big guy. So I’m cooking usually cooking 6-8 servings on a nightly basis. Those of you with large families can relate, I’m sure. So if you have a large family, rest assured, this one will feed them all & make them happy! Teriyaki Chicken Bake - It's as easy as dump, bake & enjoy! Whisk cornstarch & water together in a small bowl to create a milky liquid. Combine the cornstarch mixture, brown sugar, honey, soy sauce, vinegar, garlic, ginger & pepper together in a small saucepan over low heat. Simmer over low, whisking occasionally. Bring to a boil for 1 minute. Remove from heat & allow to cool for 10 minutes to thicken. 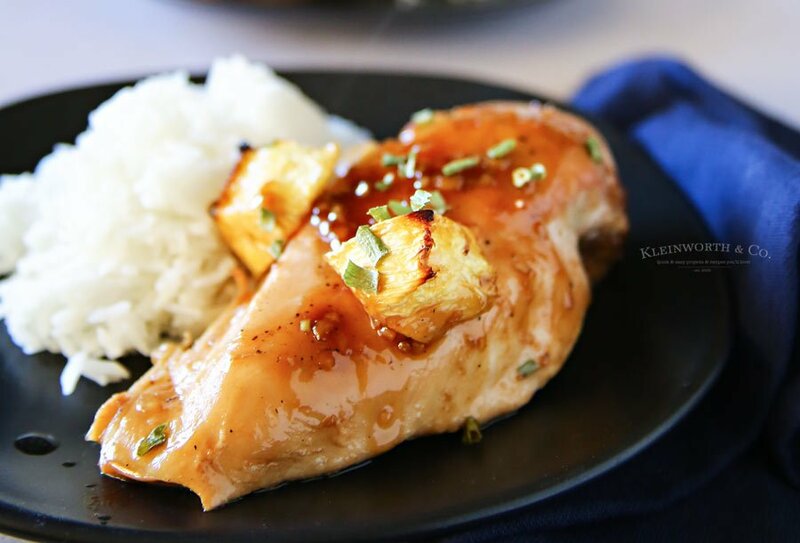 Place chicken & pineapple slices in a 9x13 baking dish. Bake uncovered for 30-35 minutes or until the chicken is completely cooked through. Easy dinner, right? I hope you absolutely love it!